Our Sts. 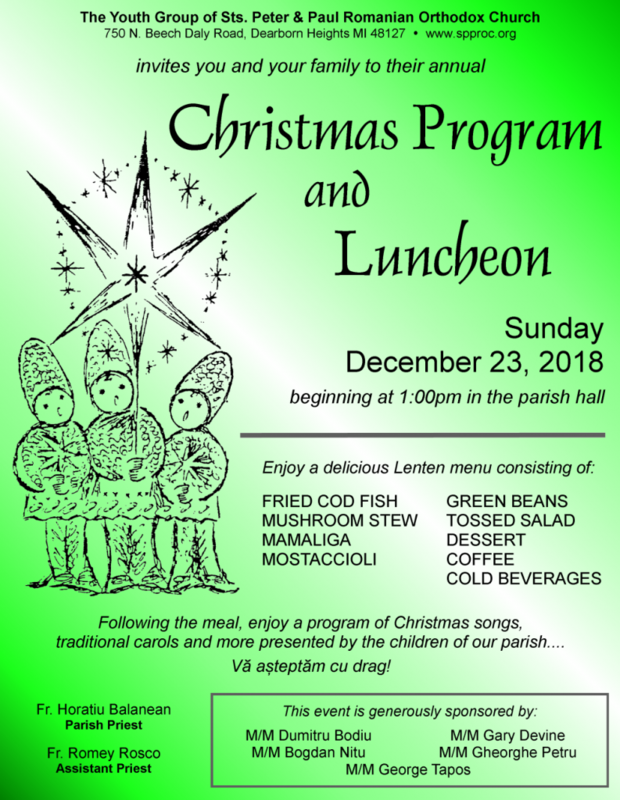 Peter & Paul Youth Group will again host their annual Christmas Luncheon on Sunday, December 23 following the Divine Liturgy. A delicious menu of Lenten foods prepared by members of the group (with help from their moms) will be served. Also, continuing our parish tradition, the children of the Sunday School will present a program of traditional carols and more in celebration of the Nativity of Jesus Christ. They have been working hard to present a wonderful program, and you are sure to appreciate their dedication and “Christmas spirit” in sharing this with all of us! Everyone is welcome. Free will donations will be accepted. See you there!